Editors Note: This post was written by a wonderful summer intern, Madeline Higgins, as a reflection on her work over the summer. Madeline is a student in the MPH program at the University of Michigan School of Public Health, and we are sure she will go on to do great things! I was lucky to intern at the Washtenaw Health Plan this past summer, where I got to observe the services that WHP provides and work with a new program involving Community Health Workers. Meanwhile, the federal government was attempting to greatly reduce the Affordable Care Act, which had the potential to negatively impact the health of residents in Washtenaw County. While I learned many facts, protocols, and systems, the items listed stick out most in my memory. 1. There is a significant gap in understanding of the reality of healthcare and policy impact from federal legislators. I believe this stems from decision makers finding information that enforces their current worldview instead of looking at fact-based data. While watching and reading about the legislative process for healthcare reform, I was struck by the lack of listening and understanding from both sides of the aisle. While everyone utilized individual stories to demonstrate their points, there was little conversation about population-level health outcomes. After reading reports and statistics which utilized a population health framework, it is obvious to me that overall, the Affordable Care Act has positively impacted health in the US. 2. You can work minimum wage full time and not qualify for Medicaid (as a single individual household). I learned this towards the end of my time with WHP. I hadn’t done the math before, and it was hard for me to imagine living on the minimum wage in the Ann Arbor area in regards to housing costs, let alone health care. To me, this further demonstrates the need for a livable minimum wage. 3. 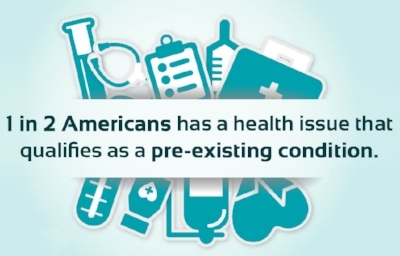 Pre-existing condition protections help us all. At some point in our lives, we are likely to experience some health setback where we utilize the healthcare system. It is advantageous to us all to include people with pre-existing conditions in the insurance pool because one day that could be us! 4. Everyone has questions about healthcare- and it is important to find places to get good information. The Washtenaw Health Plan is a great place to ask for help! No matter your insurance plan, there seem to be terms and deadlines that won’t make a lot of sense until you ask an expert or seek reliable resources. I also wrote a blog post this past summer about reliable resources regarding health care access, and it totally changed the way that I look for information about health. 5. People who do direct service work can (and must) also do policy advocacy. Washtenaw County is organized and ready for action! I sat in on many meetings where people were putting their heads together to make sure they had the right information to talk to colleagues, legislators, and their clients about how federal policy change (for example, reduction in SNAP benefits) is detrimental to our community. This is vital to both keeping their jobs but also elevating the health status of the Washtenaw County population. 6. Above all, if healthcare was treated like a human right, the tone of this conversation would be very different. People at the WHP recognize that healthcare is more complicated than having access to insurance. Health is about access to nutritious foods, opportunities to relax, space to exercise, and of course the occasional donut from Dom’s. Working in the county government showed the interconnectedness of the systems that comprise of people’s access to health. I believe if we are more inclusive to people’s needs we can work together to improve the health of Washtenaw County. Here at the WHP we provide confidential services to all people regardless of their immigration status. We assist individuals and families with any health coverage needs, from identifying eligibility to completing applications. We help people figure out if they are eligible for Medicaid, MOMS, Emergency Medicaid, Washtenaw Health Plan, or the Marketplace (subsidized insurance under the Affordable Care Act). WHP even assists individuals whom need help understanding their employer’s insurance options. To ensure that all individuals and families have access to services and resources at WHP, we have Arabic, French, and Spanish speakers on staff. In addition, we have access to a language line that provides real-time interpretation services for anyone who prefers to receive information in their native language. Our language line services assist us in helping families in understanding documents, and gives families the confidence to ask the questions they need answered. The language line can assist with over 240 different languages. WHP staff (and Public Health staff) have access to interpreter services for Acholi to Zyphe from Language Line Solutions. In addition to helping individuals and families identifying what health coverage they are eligible for, WHP can provide families with referrals and resources to address additional needs that go beyond health. We refer families to agencies throughout Washtenaw County. Some of our referrals include: Catholic Social Services, Jewish Family Services and Hope Clinic. With the current immigration climate, we are aware that many individuals and families need the necessary resources to feel safe in their community. WHP provides families with Know Your Rights information, including updated lists of attorneys helping community members with immigration questions and community organizations that advocate for immigrants such as the Washtenaw County ID Project and Washtenaw Interfaith Coalition for Immigrant Rights (WICIR). WHP can now notarize Power of Attorney forms and translate foreign driver’s licenses. In May 2017, the Washtenaw County Board of Commissioners approved funding and resolutions to aid immigrants regardless of citizenship or immigration status. One of the resolutions includes Washtenaw County being a welcoming community, respecting and cooperating with all families. Another resolution specifies that Washtenaw County policy is to only ask about immigration services for specific purposes, allowing people to feel safe when interacting with the county government. Lastly, having a policy in place to aid in restricting deportation and provide more appropriate immigration sanctions for immigrants and non-citizens who have been convicted of crimes. As Washtenaw County employees, we support these resolutions everyday in our work. The Washtenaw Health Plan is dedicated to helping people access and receive healthcare regardless of their immigration status. All WHP staff recently attended the Welcome Michigan Statewide Convening to discuss supporting and welcoming immigrants across Michigan. Have questions about healthcare? Call 734-544-3030 or walk-in to our office Monday - Friday from 9am-4pm. Post a question in the comments section below and we will answer you. Healthcare Counts blog posts in Español / Spanish are here. Information about immigration and healthcare from Healthcare Counts is here. Actualizado ** Entendiendo el Deducible de Medicaid, o "Spenddown"
In English - Updated** Understanding A Medicaid Deductible, or "Spenddown"
La mayoría de los programas de Medicaid cubren todos los beneficios esenciales de salud, como visitas al médico y al hospital, servicios de atención dental y de visión. Sin embargo, algunos programas sólo cubren beneficios limitados. Por ejemplo, el Medicaid de Servicios de Emergencia y el programa MOMS (información aqui) proporcionan servicios parciales a los inmigrantes. Otro programa "parcial" se llama el programa Deducible de Medicaid (anteriormente llamado Medicaid Spenddown). El programa de Deducible de Medicaid está disponible para personas con discapacidades, ancianos, niños y padres de niños que están sobre el límite de ingresos para el Medicaid completo. A fin de calificar para un deducible, también tendría que cumplir con una prueba de activos (que tiene en cuenta sus activos, excluyendo una casa y un coche). Un individuo que está sobre el límite de ingresos para Medicaid y tiene muy pocos activos puede ser aprobado para el programa de deducible. El Departamento de Salud y Servicios Humanos (DHHS) especificará la cantidad del deducible, un número que oscila entre menos de cien dólares y varios miles de dólares. Este número se basa en los ingresos de su hogar. Con un deducible mensual de Medicaid, para que Medicaid llegue a ser completamente activo, las facturas que ascienden al deducible deben ser alcanzadas en un mes determinado. El individuo es entonces responsable del deducible y DHHS paga el resto. Por ejemplo, digamos que el deducible de Martha fue fijado en $ 800, y Martha tiene una factura del hospital en Mayo por $ 5,000. Martha es responsable de pagar los $ 800 al hospital y DHHS paga $ 4,200. Para que DHHS pague, se debe presentar un informe de deducible. Si la factura fue incurrida el 1 de Mayo y se presentó un reporte de deducible, durante el resto del mes Martha tiene Medicaid completo y Medicaid pagaría por cualquier servicio médico necesario, como gafas, limpieza dental o medicamentos. A partir del 1 de Junio, Martha no tiene Medicaid, pero de nuevo tendría que cumplir con un deducible. Si Martha ingresó al hospital el 31 de Mayo y no tenía gastos médicos antes de esa fecha, no alcanzaría el deducible hasta el 31 de Mayo. A partir del 1 de Junio, el deducible / spenddown se restablecería, por lo que probablemente no sería posible de que le limpien los dientes en Mayo! Algunas personas, particularmente las personas que viven en hogares de ancianos, cumplen con su deducible cada mes, pero la mayoría de la gente no. Recuerde: Para que Medicaid se active, las facturas y un Reporte de Deducible deben ser enviados al trabajador social del DHHS. El deducible debe ser alcanzado de nuevo cada mes para que Medicaid se active. Importante: El programa de Deducible de Medicaid no cumple con los mandatos de la Ley de Cuidado de Salud a Bajo Precio. Esto significa que si esta es la única cobertura que tiene, se le puede aplicar una multa al presentar los impuestos al final del año. A veces un individuo es aprobado para el programa de deducible pero realmente debe tener Medicaid completo. Si usted piensa que debe tener cobertura completa, la oficina del Washtenaw Health Plan ofrece una evaluación gratuita. Para obtener ayuda para presentar las facturas de su deducible de Medicaid o si cree que debe recibir Medicaid completo, vaya a la oficina del Washtenaw Health Plan. El horario de atención es de lunes a viernes de 9:00am a 4:00pm. Estamos ubicados en 555 Towner, Ypsilanti, MI. It's Hot! It's August! It's...National Immunization Awareness Month! Plus--school is about to start, and kids in certain grades need to have their immunizations up to date! In fact, in some cases adults need boosters or new vaccines as well. They protect other people--vulnerable people like babies, senior citizens, and people whose immune systems are weak--from getting sick. Under the Affordable Care Act, required vaccinations are part of preventive care--and generally, whether you have Medicaid, a Marketplace plan, or employer coverage--they will be covered 100%. If a child is not up-to-date on her or his vaccinations, a waiver is required for the child to enroll in: a licensed childcare; preschool or Head Start; kindergarten; seventh grade; or a new school district. Under the new rules parents or guardians must participate in a science-based educational session with their local public health department. 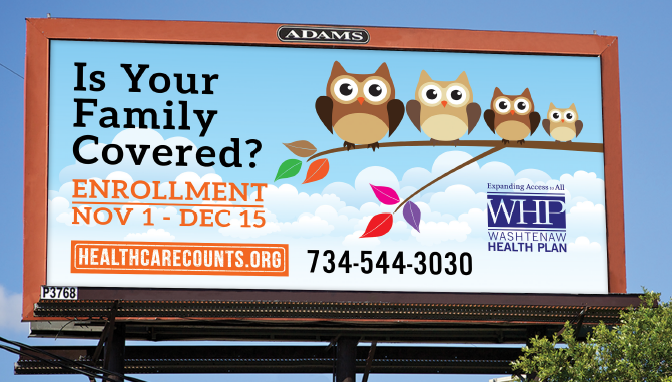 In Washtenaw County, waiver appointments can be scheduled by calling Washtenaw County Public Health at 734-544-6700. Updated** Understanding A Medicaid Deductible, or "Spenddown"
En Espanol - Actualizado ** Entendiendo el Deducible de Medicaid, o "Spenddown"
Most Medicaid programs cover all essential health benefits, like doctor and hospital visits, dental care and vision services. However, some programs only cover limited benefits. For example, Emergency Services Medicaid and the MOMS program (information here) provide partial services to immigrants. Another "partial" program is called the Medicaid Deductible program (previously called Medicaid Spenddown). The Medicaid Deductible program is available to people with disabilities, the elderly, children and parents of children who are over the income limit for full Medicaid. In order to qualify for a deductible, you also would have to meet an asset test (which takes into account your assets, excluding a house and car). An individual who is over the income limit for full Medicaid and has very few assets may be approved for the Deductible program. Department of Health and Human Services (DHHS) will specify the amount of the deductible, a number ranging from less than one hundred dollars to several thousands of dollars. This number is based on your household income. With a monthly Medicaid deductible, for Medicaid to become fully active, bills amounting to the deductible must be reached in a given month. The individual is then responsible for the deductible and DHHS pays the remainder. For example, let's say Martha's deductible was set at $800, and Martha has a hospital bill in May for $5,000. Martha is responsible for paying the $800 to the hospital and DHHS pays $4,200. In order to get DHHS to pay, a deductible report has to be submitted. If the bill was incurred on May 1, and a deductible report was submitted, then for the rest of the month Martha has full Medicaid, and Medicaid would pay for any necessary medical service, such as glasses, a dental cleaning, or prescriptions. Starting on June 1, Martha does not have Medicaid, but again would have to meet a deductible. If Martha went into the hospital on May 31, and didn't have medical expenses before then, she wouldn't meet the deductible until May 31. Starting on June 1, the deductible/spenddown resets, so she probably wouldn't be able to get her teeth cleaned in May! Some people, particularly people living in nursing homes, do meet their deductible each month, but most people do not. Remember: In order for Medicaid to become active, the bills and a Deductible Report must be sent to the DHHS caseworker. The deductible must be reached again each month for Medicaid to become active. Important: The Medicaid Deductible program does not meet the mandates of the Affordable Care Act. That means that if this is the only coverage you have, you may be assessed a tax penalty when filing taxes at the end of the year. Did you get the right coverage? Sometimes an individual is approved for the Deductible program but really should have full Medicaid. If you think you should have full coverage, the Washtenaw Health Plan offers a free assessment. For help submitting bills for your Medicaid deductible or if you think you should have full Medicaid, stop into the Washtenaw Health Plan. Walk-in hours are Monday through Friday from 9am to 4pm. We are located at 555 Towner, Ypsilanti, MI. This week, the WHP loses a valued staff member. Haley Haddad is going to graduate school (University of Michigan School of Public Health)!